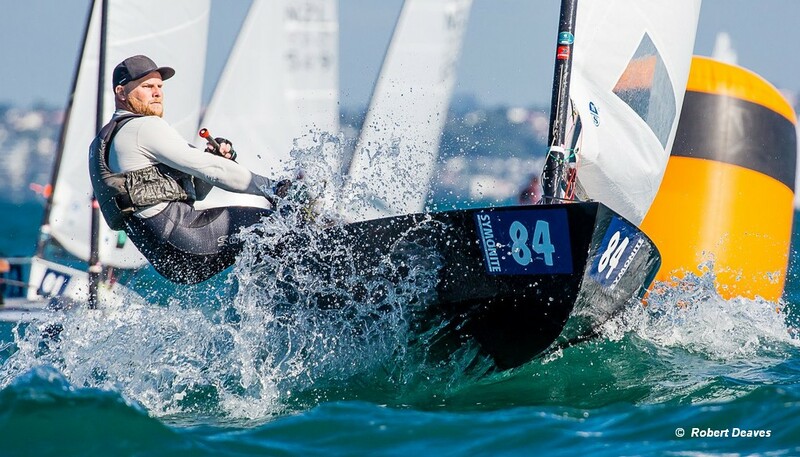 Racing resumed at the Symonite OK Dinghy Worlds after the Lay-day at the Wakatere Boating Club, New Zealand. Dan Slater of New Zealand extends his lead to 11 points after a 3, 4 on the fourth day of racing. He just needs one good race on teh final day to confirm his overal victory. Fredrik Lööf of Sweden had the best day with a 2, 3 to move up to second while Andrew Phillips stays in third after winning the first race of the day. The second race was won by Rohan Lord, but he still carries a DNC, so is in 18th place overall. Britain’s Nick Craig had a 4, 2 and is in 6th place overall. The championship concludes Friday with two more races possible.